Here’s a mega music brainteaser for you. 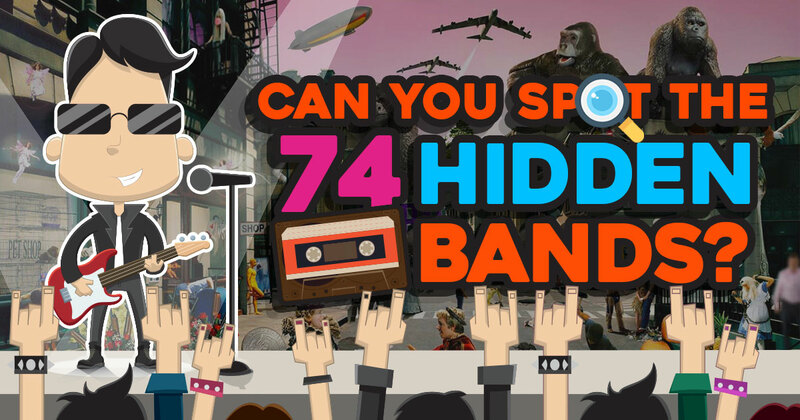 There are 74 bands and artists cryptically hidden in this picture challenge. Some will jump out at you right away. Others will require you to put on your thinking cap. Take a close look and let’s see how many musicians you can identify using the various clues scattered around the picture. How Close To 20/20 Can You Score On This General Knowledge Quiz?